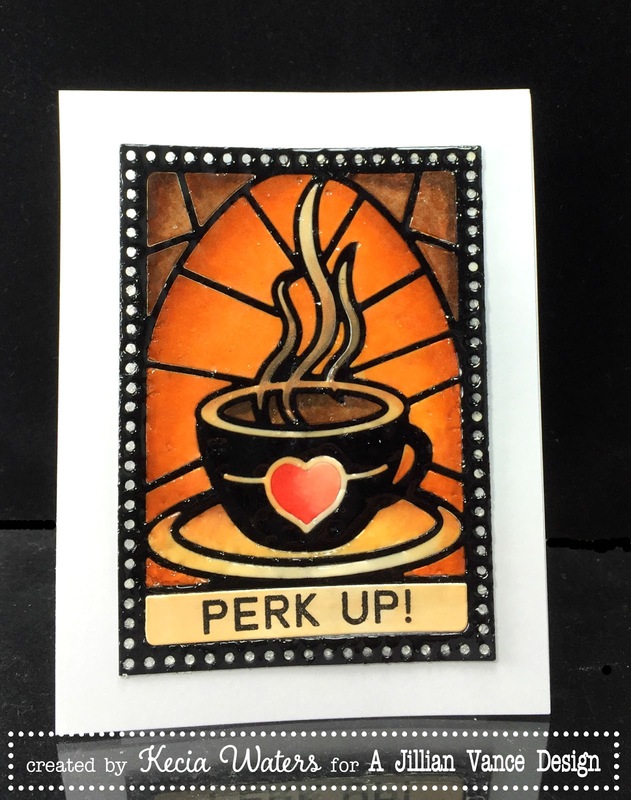 Perk Up! A perfect title for a Monday post, don't you think? 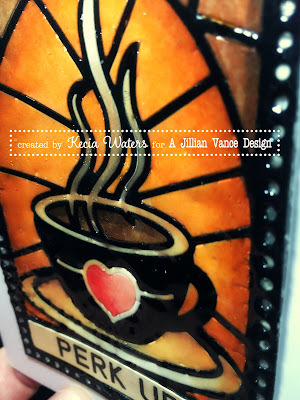 I just had to get in on all of the fun of the newly released "Grandpa's Glass: Cup of Love Die & Perk Up Stamp Set Combo" from AJVD. 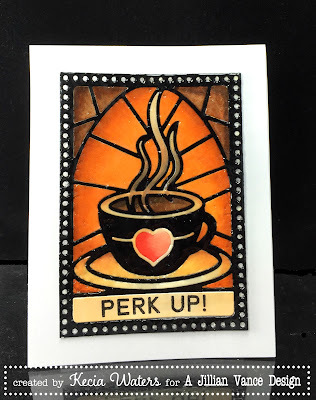 Kecia Waters on the blog today sharing a stained glass card I made. To make this card, I cut both black cardstock and white X-Press It cardstock with the "Cup of Love Die". On the black cardstock, I punched through all of the pieces, so I would be left with just the black frame and stained glass outline. I applied adhesive with my Xyron machine and placed onto a white cardstock panel. I then colored the white X-Press It cardstock pieces with A markers, and pieced together like a puzzle using the black frame. Once finished, I applied Versamark Watermark ink all over the "finished puzzle" and covered with Ultra Thick Embossing Enamel. I applied heat with a heat gun. I repeated two more times with the Versamark and UTEE to get the desired effect. 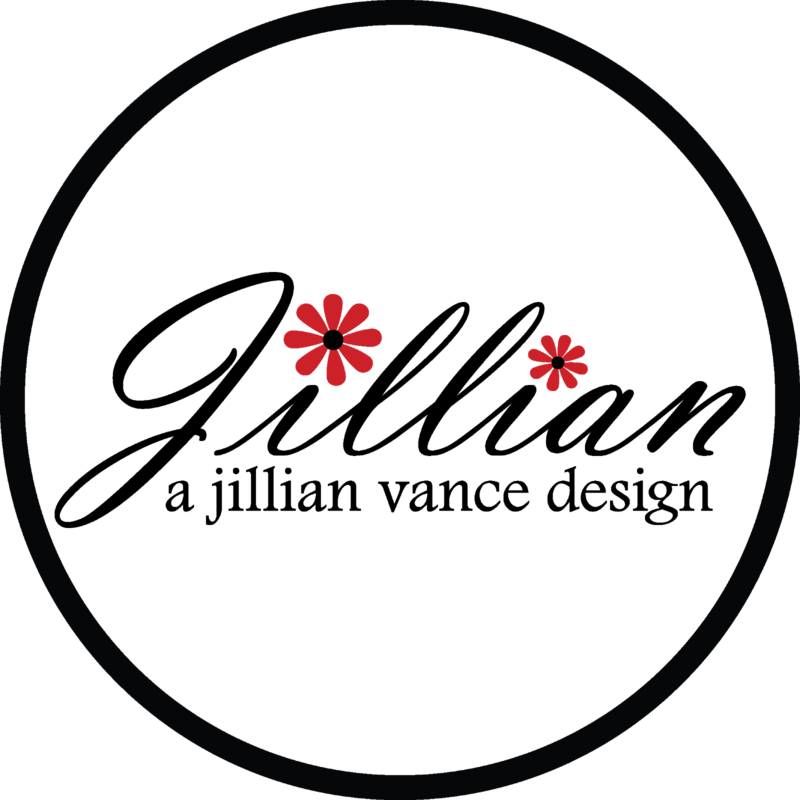 The sentiment strip is a part of the "Cup of Love Die". I stamped it with a sentiment from "Perk Up" with Versafine Onyx Black and placed in its place. This was the final step in the making of this card. 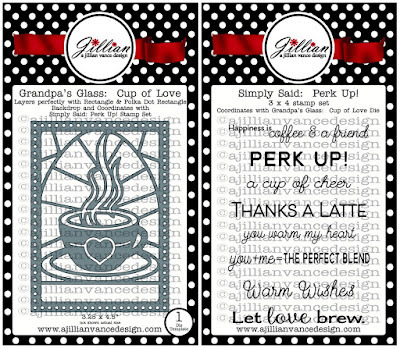 "Grandpa's Glass: Cup of Love Die and Perk Up Stamp Set Combo"
Hope you get a chance to relax sometime with a cup of coffee and create something with A Jillian Vance Design products. Have a great week! 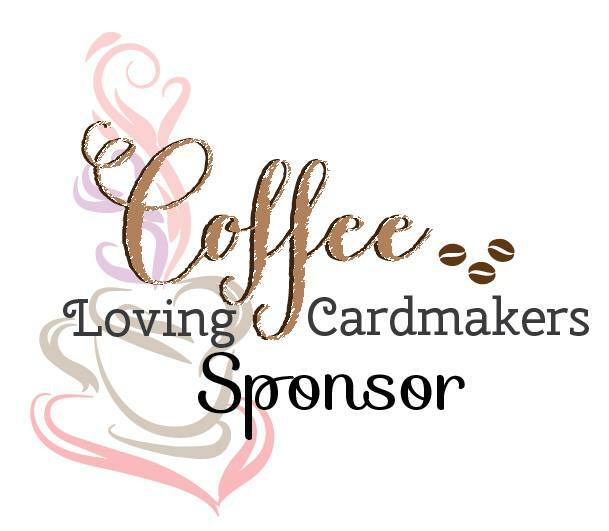 Love this amazing coffee card!